Recently, I took a long-term client to meet with the event coordinator and chef at the venue for their upcoming corporate holiday event. We began the process of building their menu, which then inspired me to write this post. When a menu is done well, it’s easy to take it for granted that it was an easy process to put it together. What initially sounds good by description doesn’t always translate well in both taste and presentation. And because of this, whenever possible, I think conducting a tasting is imperative. As a side bar – I worked on an event management project years ago with a venue in the city that was resistant to the idea of doing a menu tasting for our client. Believe it or not my request was escalated up the management chain to the point where I sat down with both the general manager and the chef of the establishment so they could argue why they shouldn’t do a tasting. Since I wasn’t going to get one (and I’d like to note that I offered to pay for one) and was refused, I decided to still meet with them. I had questions regarding the custom items we had requested and in the end, the meeting was very helpful. For instance, we asked them to make a chilli. As you can imagine, there are literally hundreds of ways to make chilli and I was as interested in the ingredients. When speaking about the presentation in particular, I was surprised to hear that the chef had planned to serve the chilli in plastic martini glasses. Now I haven’t mentioned that this was a Stampede event with a country & western theme and all I could think was that chilli in plastic martini glasses is going to look a bit like (pardon the expression) dressed up dog food. This example alone is one of the reasons why it is so important to ensure you’re on the same page as your caterer / venue when it comes to both taste and presentation. Before signing your contract with a venue or caterer you should ask if conducting a tasting is possible. Some venues have it written into their contracts that they don’t. But generally everything is negiotiable. Creating a custom menu is a lot easier than you might think and it doesn’t have to cost you any more than what you had originally budgeted. You don’t have to start from scratch. Consider looking at what a venue has in place already. For example – in a recent tasting, we began by looking at the overall menu. I know this client usually loves to do a four-course dinner. They usually start with a risotto, move to a salad, have beef as a main and of course top it off with a dessert. During the tasting we decided to give them a soup and risotto as the starter to try. The risotto was the winner but we agreed that after tasting the risotto that it needed something sharp to bring forth some of the flavour. This is something that we would not have been able to adjust had we not done the tasting and in identifying that one element the menu was transformed and we made our first customization to the menu, no additional cost. The second course was a very interesting salad that had mint, dill , dried cherries and goat cheese in it. My clients agreed they loved the additions of the dill, mint and dried cherries but they were worried about whether or not the goat cheese would be enjoyed by all 500 of their guests. In our discussions with the venue, we are examining options of having the goat cheese served on the side so it’s easily removable for anyone who does not care for it. Chef also committed to looking at a cheese alternative that might appeal more to my clients. This was the second item that was customized and at no additional cost. When sampling the main course, we had the choice of a beef tenderloin with two types of potatoes and two types of veggies. Originally when reviewing this menu these sides weren’t even offered with this main course (on the standard menu everyone gets). However, These two sides became our third customization and at no charge. The final change was made in the vegetarian option. With the changing landscape of dietary restrictions and allergies, the vegetarian option needs to not only be vegetarian friendly, but gluten and dairy free. In this particular tasting, the vegetarian presentation was underwhelming compared to the balance of the dishes we had just sampled. So it was back to the drawing board and we are still considering our options. The reason I am making note of all of this is because if we had not done the tasting we couldn’t have caught the various aspects of taste or presentation until it was too late to change it. I believe that my clients are the best spokespeople for their guests and they bring a lot of valuable intel and knowledge from previous events to the tasting table. Tastings are much more than a perk of the job. They are crucial to creating a cohesive experience at your corporate event. You are looking especially at presentation and taste. Don’t be afraid to ask for changes and customizations. 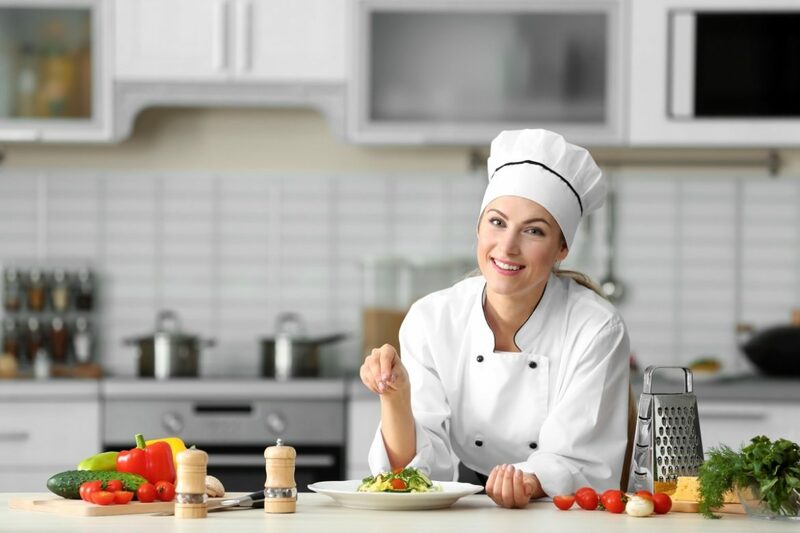 Do keep in mind that some customizations will have an additional cost and let your chef / caterer help you create a menu that your guests will love and are unique to your client’s tastes!